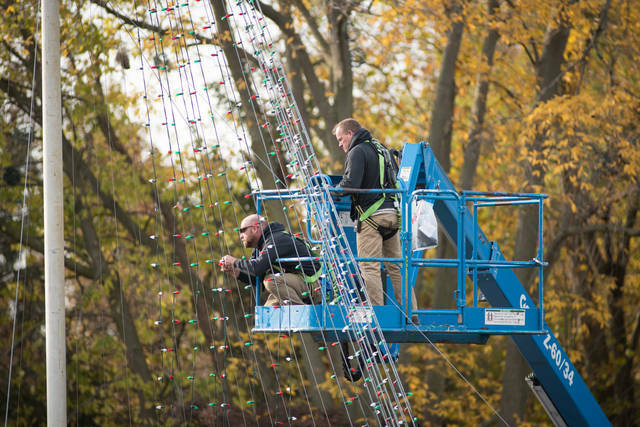 POWELL, Ohio – The Columbus Zoo and Aquarium will host several hiring events for potential applicants to apply and interview for seasonal employment at the Zoo. Seasonal positions are available in areas including retail, security, food and beverage, rides, maintenance and more. Tuesdays in September (Sept. 4, 11, 18, and 25) from 4 p.m. – 5 p.m. Check in at Admissions! As an additional incentive to working somewhere “wild,” the Zoo is offering a special fall bonus to team members working in rides and food and beverage. Rides employees can earn a $1 bonus for every hour worked if the employees work 100 hours between Sept. 3 and Oct. 28. Additionally, they can receive a $100 sign-on bonus if they are hired by Sept. 15 and work 200 hours by Dec. 15. Food and beverage employees will have the opportunity to earn a $2 bonus for every hour worked between Aug. 19 and Nov. 3. In order to receive this benefit, food and beverage team members must work at least 100 hours through the week of Oct. 28. The bonus will be paid to qualifying team members after Nov. 3. The Columbus Zoo and Aquarium is an Equal Opportunity Employer. For more information about the September hiring event and other employment opportunities at the Zoo, please visit: https://columbuszoo.org/job-search. Home to more than 10,000 animals representing over 600 species from around the globe, the Columbus Zoo and Aquarium leads and inspires by connecting people and wildlife. The Zoo complex is a recreational and education destination that includes the 22-acre Zoombezi Bay water park and 18-hole Safari Golf Course. The Columbus Zoo and Aquarium also operates The Wilds, a 10,000-acre conservation center and safari park located in southeastern Ohio. The Zoo is a regional attraction with global impact; annually contributing more than $4 million of privately raised funds to support conservation projects worldwide. A 501(c)(3) nonprofit organization, the Columbus Zoo has earned Charity Navigator’s prestigious 4-star rating. 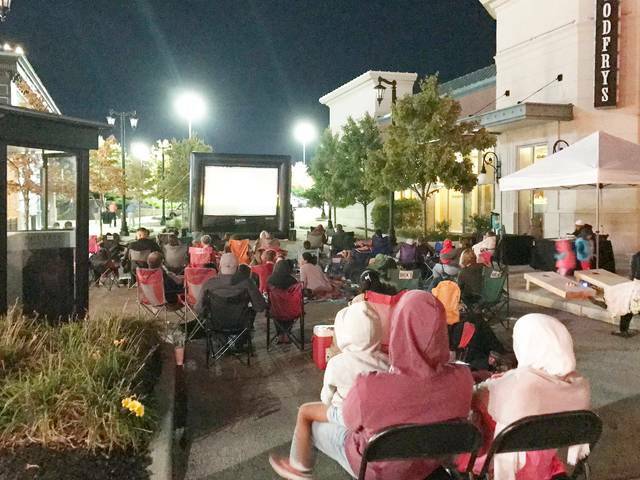 COLUMBUS, OHIO (August 29, 2019) – Polaris Fashion Place, Central Ohio’s premier indoor shopping destination with more than 190 popular retail, dining and entertainment choices, is pleased to announce the return of Sunset Cinema. This free series will take place every Friday evening in September beginning at 7:30 pm at the Polaris Lifestyle Center next to The Cheesecake Factory. Sunset Cinema is returning for its second season and has expanded to include throwback movies for adults. Shoppers are invited to enjoy costume characters, photos booths and other family-friendly activities like crafts at no cost. The 2018 Sunset Cinema schedule is listed below. For more information about the event, visit www.polarisfashionplace.com. Polaris Fashion Place is Central Ohio’s premier shopping destination offering market-exclusive brands and locally-owned specialty shops to more than two million locals and tourists alike. Polaris Fashion Place also hosts more than 75 events a year including: Live @ Polaris, KidX Club, Mommy Mile, the Easter Bunny and Santa Photo Set. The town center is home to more than 190 national and local retail, dining and entertainment options. A dynamic offering of things to do along with things to buy keeps guests engaged and returning often. Polaris Fashion Place is open seven days a week; Monday to Thursday 10 a.m. – 9 p.m., Friday to Saturday 10 a.m. – 9:30 p.m. and Sunday noon – 6 p.m. For more information, please call (614) 846-1500 or visit polarisfashionplace.com. Like us on Facebook at facebook.com/polarisfashionplace and follow us on Twitter @PolarisFashion and Instagram @PolarisFashionPlace. 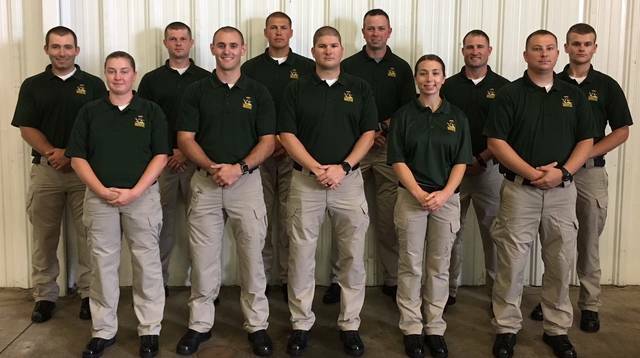 COLUMBUS, OH – The 29th Ohio Wildlife Officer Cadet Training Academy began on Monday, Aug. 13, for the 11 cadets hired from a pool of more than 550 applicants. The cadets will complete more than six months of training before becoming state wildlife officers, according to the Ohio Department of Natural Resources (ODNR). State wildlife officers have statewide authority to enforce wildlife regulations and protect state lands, waterways and property. As state law enforcement officers, they contribute to public safety both in their local areas and in Ohio’s vast outdoors. Each year, Ohio’s state wildlife officers speak to hundreds of clubs and groups about conservation and wildlife programs; perform fish and wildlife surveys; and provide technical advice and instruction about hunting, fishing and other outdoor-related recreation. Cadets who require state law enforcement certification will complete approximately 23 weeks of Ohio Peace Officer Basic Training and then all cadets will receive an additional eight weeks of specialized training by the ODNR Division of Wildlife. Training includes law enforcement procedures and agency policies, wildlife and fisheries management, communications, ATV operations, hunter safety, and advanced firearms and self-defense topics. The cadets will graduate in March 2019. For information on how to become a state wildlife officer, visit wildohio.gov. ODNR ensures a balance between wise use and protection of our natural resources for the benefit of all. Visit the ODNR website at ohiodnr.gov. CHILLICOTHE – A mixture of heroin and fentanyl has been identified by the Ohio State Highway Patrol as the substance that caused an apparent overdose of one inmate and required medical attention for 27 staff members at the Ross Correctional Institution (RCI) in Chillicothe this morning. Approximately 31 inmates who were not affected were removed from the cellblock and relocated inside the facility. A sample of the substance was collected from RCI and relayed to the Ohio State Highway Patrol crime lab for testing. A total of 29 individuals were possibly exposed to the mixture. There were 28 individuals (23 correction officers, four nurses, and one inmate) transported to the hospital, and 24 required treatment. One inmate was treated on scene and was not transported. One staff member/first responder and one inmate remain hospitalized. All other employees have been discharged. The situation remains under investigation by the Patrol. COLUMBUS — Governor John Kasich and Department of Insurance Director Jillian Froment have designated September as Life Insurance Awareness Month in Ohio to emphasize the significance of financial security if a spouse or loved one were to pass away. • How much of the family income do I provide? • How would my survivors, especially my children, get by? • Does anyone else depend on me financially, such as a parent, spouse, grandparent, brother or sister? • Do I want to set aside money for my children to finish their education? (DAYTON, Ohio)—Ohio Attorney General Mike DeWine today joined Benjamin C. Glassman, United States Attorney for the Southern District of Ohio, and other officials in announcing that a doctor has been sentenced to nearly six years in prison for running a pill mill in Dayton. David Kirkwood, 62, of Dayton, was sentenced in U.S. District Court today to 70 months in prison and five years of supervised release. In August 2017, Kirkwood and his wife, Beverly Kirkwood, pleaded guilty to health care fraud. David Kirkwood also pleaded guilty to one count of unlawful drug trafficking. Joining Attorney General DeWine and U.S. Attorney Glassman in announcing the sentence were Lamont Pugh III, Special Agent in Charge, U.S. Department of Health and Human Services Office of Inspector General (HHS-OIG) Chicago Region; and Timothy J. Plancon, Special Agent in Charge, Drug Enforcement Administration (DEA). The sentence was imposed by U.S. District Judge Walter H. Rice. According to court documents, David Kirkwood owned and operated Kirkwood Family Practice in Dayton beginning in 1986. The doctor often used the same billing code for his customers regardless of the service performed and would accept health care insurance payments for examinations that were not medically appropriate or sufficient for the billing codes submitted. Those bills were submitted on behalf of the practice and with the assistance of Beverly Kirkwood, who has been sentenced to six months in prison. According to the indictment, David Kirkwood saw up to 100 patients per day, charging $100 per office visit. David and Beverly Kirkwood have agreed to pay restitution in the amount of nearly $160,000, which represents the loss to Medicare and Medicaid. The case was investigated by the Ohio Attorney General’s Medicaid Fraud Control Unit, HHS-OIG, and DEA. Attorneys with the Ohio Attorney General’s Office and U.S. Attorney’s Office represented the United States in the case. Chris Edelson does not work for, consult, own shares in or receive funding from any company or organization that would benefit from this article, and has disclosed no relevant affiliations beyond their academic appointment. Michael Cohen’s guilty plea on Aug. 21 has some observers wondering whether Donald Trump’s presidency can survive. As part of his plea, Cohen stated under oath that Trump directed him to make illegal hush payments intended to influence the 2016 election by hiding stories that could have been damaging to then-candidate Trump. Trump’s victory was assured by a narrow margin in three states. Fewer than 80,000 votes in Michigan, Wisconsin and Pennsylvania made the difference. Granted, such a close election surely turned on numerous factors. However, the scheme Cohen pleaded guilty to may well have been one. Cohen’s statement suggests Trump is an unindicted co-conspirator in a federal crime aimed at affecting the outcome of the election. If Cohen is telling the truth – something which should not be taken for granted – this news raises questions about the legitimacy of Trump’s presidency. But Cohen’s guilty plea ought to do more than that. It should also spark broader discussion about a dramatic remedy I believe is necessary: rewriting the Constitution. Scholars disagree as to whether the constitutional system will weather Trump’s presidency. Some believe the system is holding up so far and will come out all right. As a scholar of presidential power, my opinion is that the danger is being downplayed. There is no guarantee that the rule of law and limits on presidential power will endure against a president with clear authoritarian ambitions. By authoritarian, I mean a leader who rejects constitutional, or liberal, democracy. Other scholars recognize that Trump’s presidency presents an existential threat to constitutional democracy in the United States, and suggest shoring up the existing system. If the U.S. had a functioning constitutional democracy, Congress would immediately take action to determine whether Cohen is telling the truth. It would also take steps to sort out other questions that go to Trump’s legitimacy, including serious allegations about his campaign’s possible coordination and conspiracy with Russian agents who the U.S. intelligence community says attacked the election in an effort to help Trump win. But there is no sign that Congress is doing or will do any of this. If Cohen is telling the truth – again, an open question – that means Trump will face no meaningful consequences for criminal actions he helped direct – at least as long as Republicans control Congress. This calls into question not just Trump’s legitimacy as president but the viability and indeed the legitimacy of our current constitutional system. A system that is incapable of dealing with the situation we currently face is a failed system. When it comes to presidential power, the famous checks and balances woven into the U.S. constitutional system – some based on formal legal rules, others on unwritten norms – depend most centrally on Congress. When one party controls both the executive and legislative branches of government, members of Congress can only do their job by rising above partisan interests. But Republicans in Congress have been unable to do this, even though some in their ranks, like Sens. Jeff Flake and Bob Corker, clearly have serious concerns about Trump. Most Republican members of Congress either defend the president’s attacks on the rule of law or play the role of passive observers, waiting to see how far Trump will go in his efforts to turn the federal justice system into his personal plaything. Over the past year and a half, many have wondered whether congressional Republicans will eventually stand up to protect the rule of law and the independence of the justice system. In my view, it is time to recognize that we are witnessing the failure of a constitutional system and the ability of members of Congress to check the executive branch. It is time to recognize the need for fundamental change that can only be achieved through a new Constitution. The problem did not begin with Donald Trump, but his disregard for the rules and norms of constitutional democracy has highlighted the system’s flaws. This is not a partisan concern. I wrote about the failure of congressional Democrats to enforce limits on Obama’s presidency, and it is quite possible that Democrats would be unwilling to rein in an authoritarian president from their own party if one came to power. Using the existing amendment process is not enough because it can easily be controlled by elites, such as elected officials and other political insiders. Todd Eisenstadt, Carl LeVan and Tofigh Maboudi’s research shows that it is essential to have broad public participation and input in drafting a Constitution if the goal is to strengthen democracy – and that this kind of participation can be more important even than the ultimate content of the Constitution itself. Americans should demand and create a new process for drafting a new Constitution — as the framers of the current Constitution did when they abandoned the Articles of Confederation in 1787, but (unlike the framers) with citizen input from the start. • replacing the current impeachment and removal process with a new process better equipped to remove dangerous and/or unfit presidents from office, while also guarding against partisan abuse of the process. The solution I propose is radical, and not without significant risk of unintended consequences. Any new constitutional convention could open a Pandora’s box, allowing dangerous new ideas out that undermine democracy. Even if the project to create a new Constitution succeeds as designed, no document can guarantee the survival of liberal democracy. But the danger of inaction is also great. If Cohen is telling the truth about Trump’s involvement in criminal activity intended to influence the outcome of the 2016 election, Trump will have incentives to take the same approach in 2020 – in other words, to break the law in an effort to win. This is dangerous, to say the least. It is time to recognize that the current system is simply not up to the task, and time to think about how we can create a new system to strengthen liberal democracy and the rule of law.